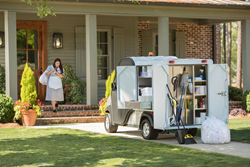 The Carryall 500 Housekeeping Vehicle gives your crews everything they need to speed housekeeping. Please stop by the booth to see our new vehicles and ask for our free white paper: Building a Comprehensive Transportation Strategy for Your Resort: A Four-step Plan. 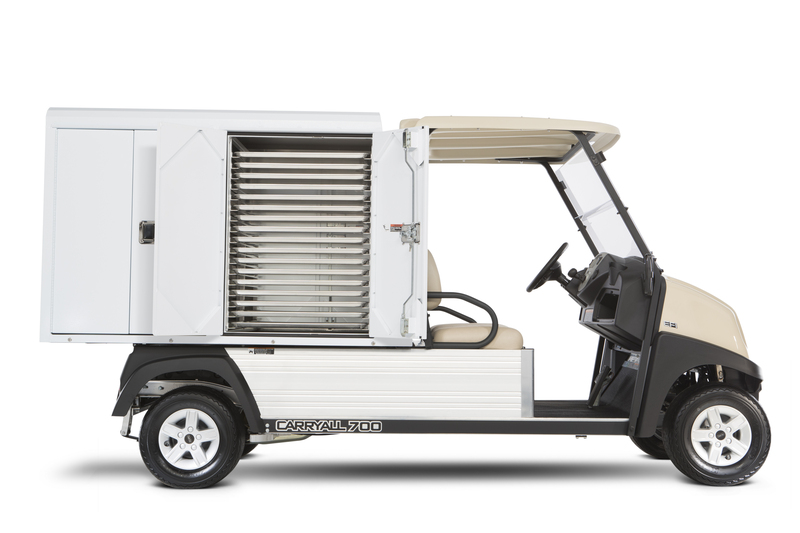 The quality, style and performance of Club Car’s utility and transport vehicles have made them a favorite at exclusive hotels and resorts. The company continues that tradition by showcasing two new vehicles at the upcoming HX Show in New York. “Available in electric or gasoline models, this vehicle was designed in response to feedback from housekeepers at resorts. It carries two people and their gear and features a bundle of accessories based on global buying patterns of resort customers,” says Mary A. Sicard, resorts and rental marketing leader. The vehicle’s L-shaped van box with LED lights and locking doors carries a full-size vacuum cleaner, brooms, mops and other supplies. Drawers provide storage for small items, and shelves hold towels, linens, cleaning supplies and more. The vehicle also features a canopy and hinged windshield, USB ports and other equipment. Electric models come standard with extended-range batteries and single-point watering systems that simplify battery maintenance. 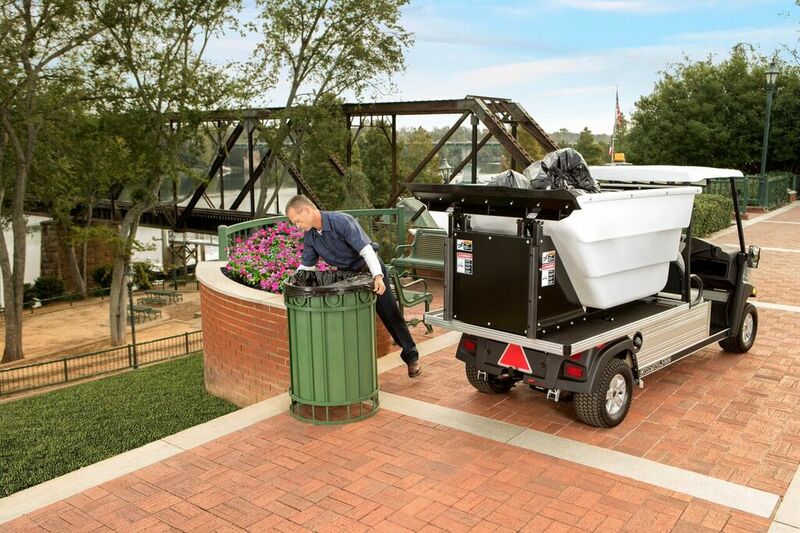 This vehicle fast-tracks trash collection with a high dump hopper, sturdy plastic waste hauler for above-ground dumpsters and electric bed lift with hydraulic actuator to lift and empty the hauler. It comes standard with the safety equipment needed for stop-and-start driving. These two vehicles are part of Club Car’s new Fit-to-Task Series. Each car in the series is designed for a specific application. Other applications include facilities engineering, food service, room service, security, ambulance service and grounds maintenance. “Please stop by the booth and ask for our free white paper: Building a Comprehensive Transportation Strategy for Your Resort: A Four-step Plan,” Sicard says. For more information, visit http://www.clubcar.com/resorts. Speed trash removal with the Carryall 700 Refuse Removal Vehicle with high dump. Keep your guests coming back for seconds with the new Carryall 700 Food Service Vehicle. 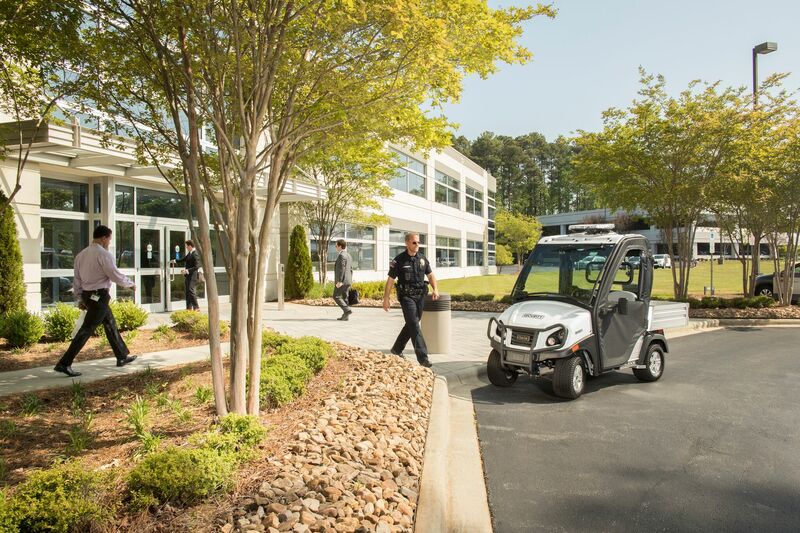 The Carryall 300 Security Vehicle is equipped for long security details.